In the summer of 1948 the pianist, composer and conductor Leonard Bernstein took a road trip with his younger brother, Burton Bernstein (who appears to have been their speedy chauffeur) and a literary British friend. Their conversations are far from humdrum, as you would expect from such luminaries. I wanted to share a section of their dialogue that I found fascinating, intellectual and insightful, as documented by Bernstein in an early chapter of his book, The Joy of Music under the heading: Bull Session in the Rockies. 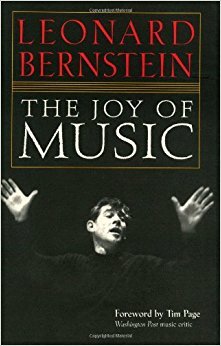 At the time of the conversation they are somewhere in the mountainous region of the Picasso Pass of New Mexico, and Leonard Bernstein refers to his brother as Y.B. (maybe some affectionate nickname) and his literary friend is called Lyric Poet ( L.P.). Bernstein has these gracious words about his friend: L.P. is a poet’s poet from Britain and one of those incredible people who are constantly so involved in politics, love, music and working ideals, that, despite their established success, they often find themselves embarrassed in the presence of a laundry bill. When L.P. speaks, he is oracular; when he is silent, he is even more so. I totally admire Lyric Poet, whoever he is/was, for attempting musical discourse with such a mind as Bernstein’s. He must have felt exasperated at times! I have interspersed the text with Beethoven recordings by Bernstein where he has made a recording pertaining to their conversation to enrich the overall experience. LP: My dear Y.B., I suspect you have forgotten the fact that our tyre burst yesterday was caused by just such driving as you are now guilty of. LB: (Ceasing to brood): I had every intention of letting your remark pass for innocent, but since you insist on it, I have a barbed question to put. 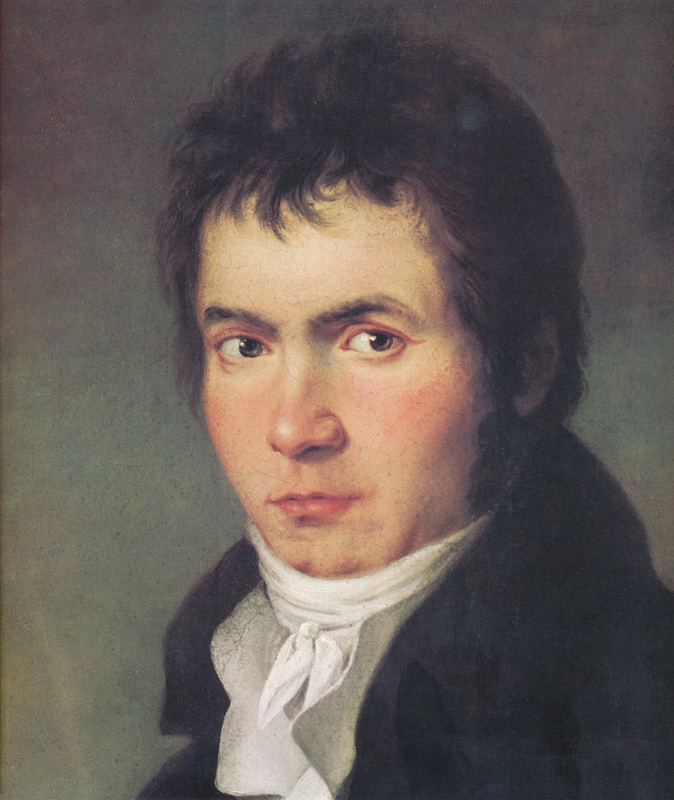 With so many thousands of hills in the world- at least a hundred per famous composer- why does every hill remind every writer of Ludwig van Beethoven? LP: Fancy that- and I thought I was flattering you by making a musical metaphor. Besides, I happen to find it true. These mountains have a quality of majesty and craggy exaltation that suggest Beethoven to me. LP: Very funny indeed. You mean to say that you see no relation between this landscape and Beethoven’s music? LB: Certainly- and Bach’s, and Stravinsky’s, and Sibelius’, and Wagner’s- and Raff’s. 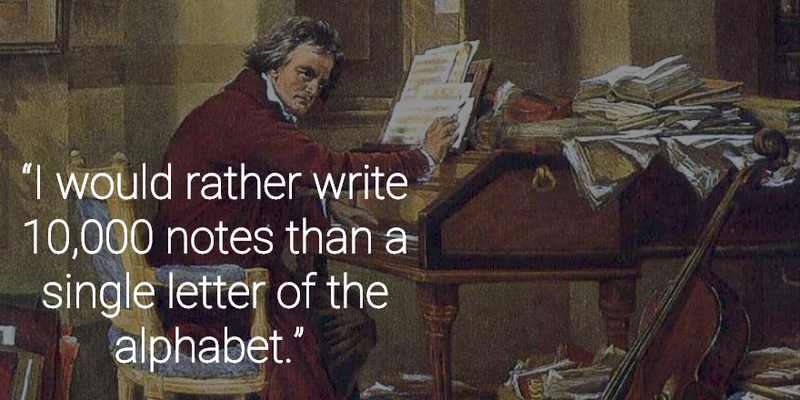 So why Beethoven? LP: What’s the matter, don’t you like him? YB: Andybody want a piece of gum? LB: That’s just what I mean: there’s no answer. LP: Well, dammit, man, it’s because he’s the best, that’s all! 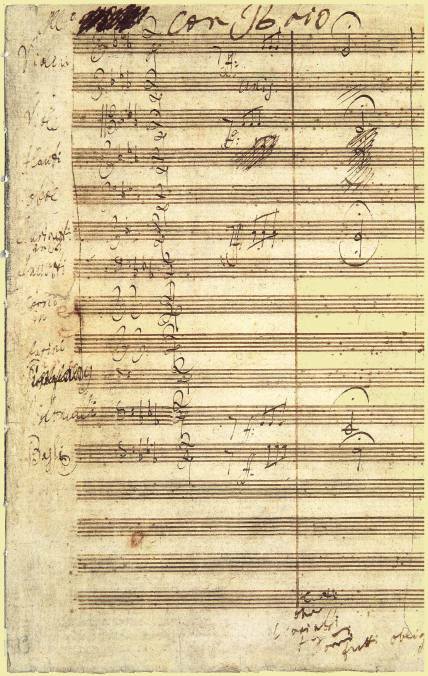 Let’s just say it out unashamed: Beethoven is the greatest composer who ever lived! LB: (Who agrees, but has a Talmudic background): Dunkt dir das? May I challenge you to a blow by blow substantiation of this brave statement? LB: Let’s take the elements of music one by one- melody, harmony, rhythm, counterpoint, orchestration- and see how our friend measures up on each count. Do you think it an unfair method? LB: Its monotone heart, you mean. The main argument of this “tune,” if you will recall, is glued helplessly to E-natural. LB: Granted. But then it is not particularly distinguished for melody. LP: I was fated to pick a poor example. 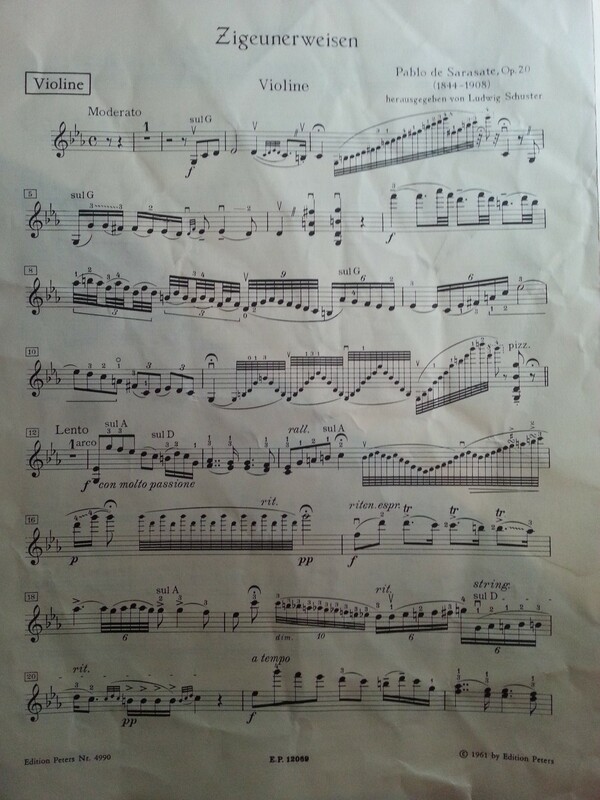 How about the first movement? LB: (Brightly): Shall we move on to harmony? LP: Oh, the melody, the melody! What is melody anyway? Does it have to be a beer hall tune to deserve that name? Any succession of notes- Y.B., you’re speeding again!- is a melody, isn’t it? 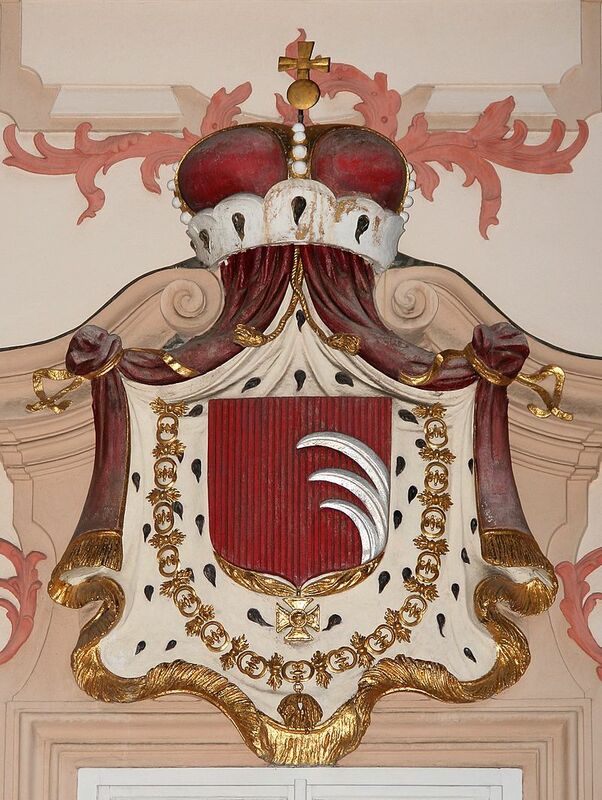 LB: Now even you must admit that one beer hall par excellence, don’t you think? LP: (with a sigh): Cedunt Helvetii. We move on to harmony. Of course you must understand that I’m not a musician, so don’t pull out the technical stops on me. LB: Not at all Lyric One. I need only make reference to three or four most common chords in Western music. I am sure you are familiar with them. LB: Exactly. 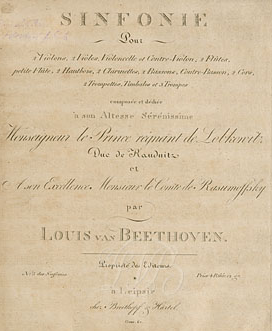 Now what can you find in Beethoven that is harmonically much more adventurous than what you have just sung? LP: But what a punch they pack! LB: That’s another matter. 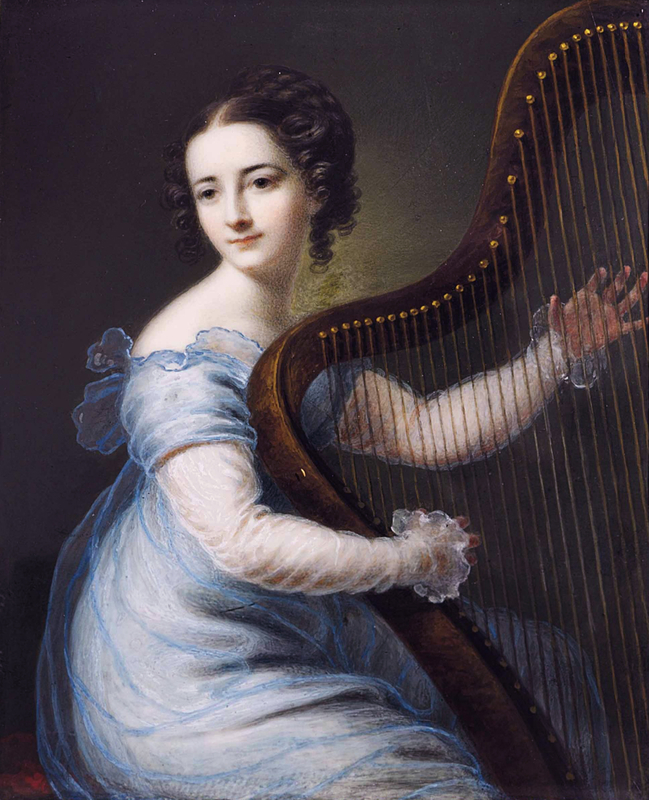 We were speaking of harmonic interest, weren’t we? LP: Whose side are you on anyway? I thought you had said the harmony was dull? LB: Never dull- only limited, and therefore less interesting than harmony which followed his period. 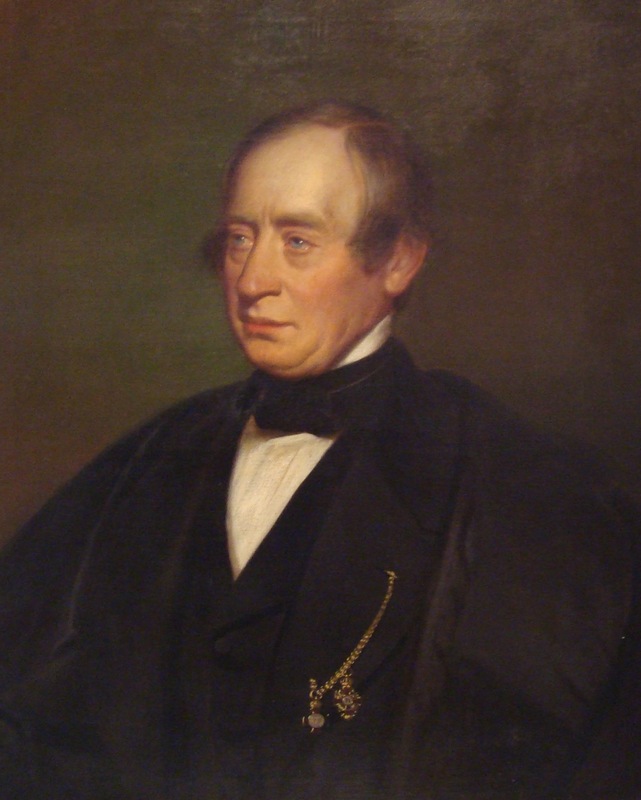 And as to rhythm- certainly he was a rhythmic composer; so is Stavinsky. 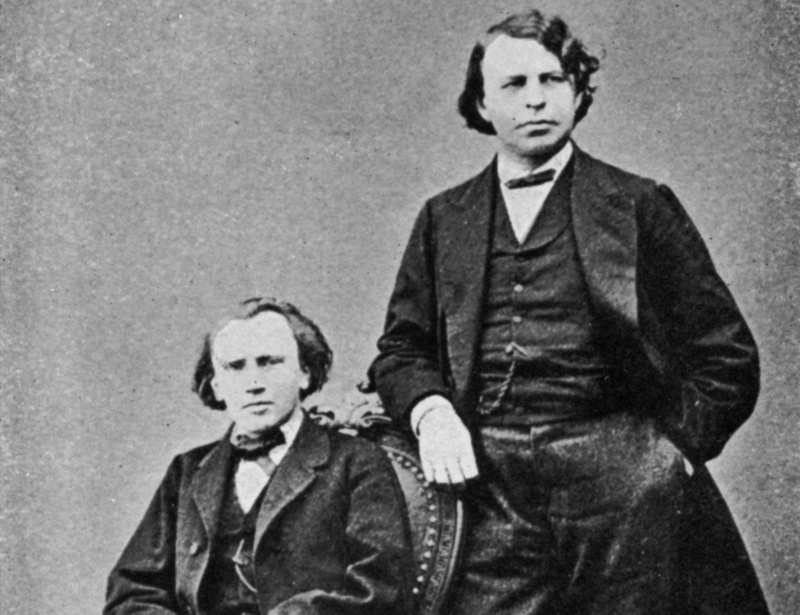 So were Bizet and Berlioz. 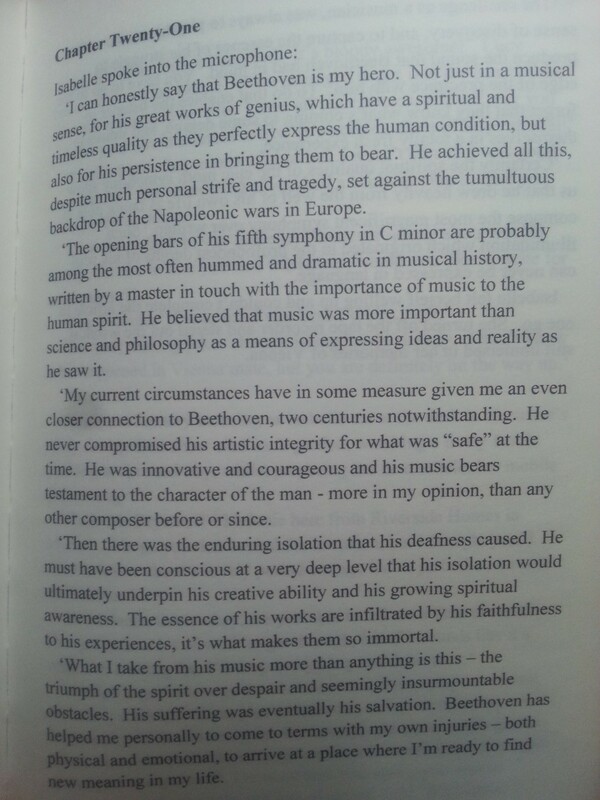 I repeat- why Beethoven? LB: -is generally of the schoolboy variety. He spent his whole life trying to write a really good fugue. 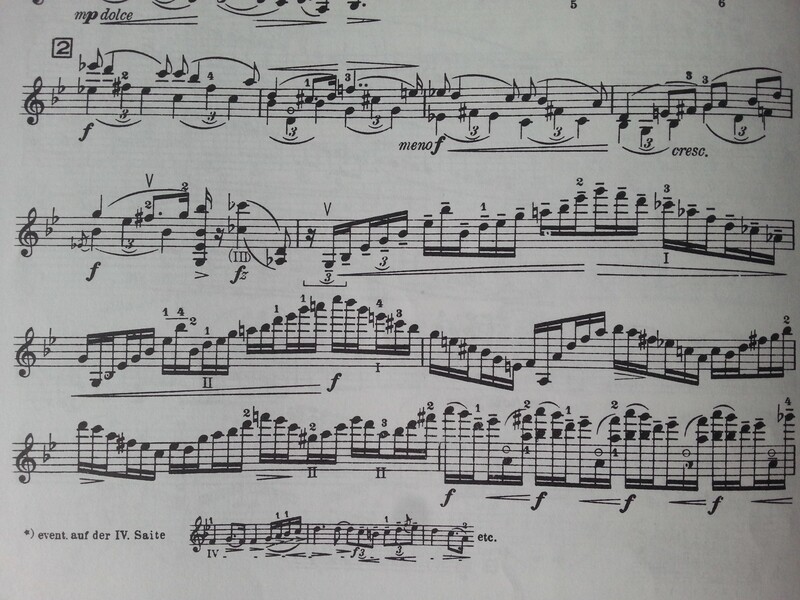 And the orchestration is at times downright bad, especially in the later period when he was deaf. 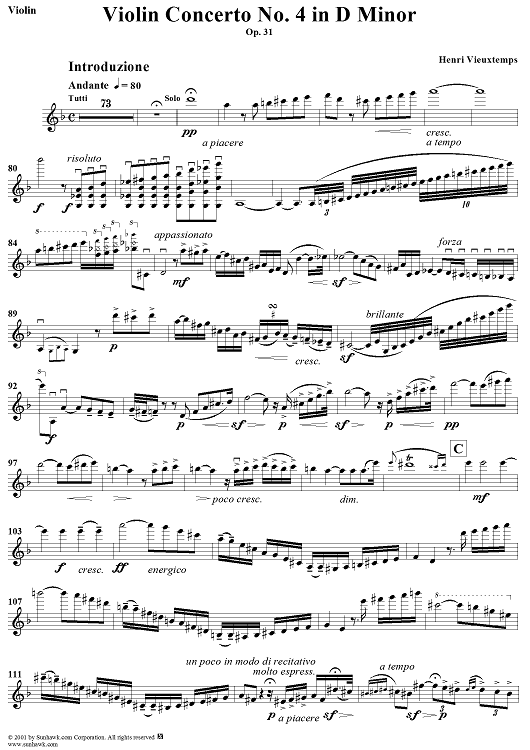 Unimportant trumpet parts sticking out of the orchestra like sore thumbs, horns bumbling along endlessly repeated notes, drowned-out woodwinds, murderously cruel writing for the human voice. And there you have it. LP: (In despair): Y.B., I wish I didn’t have to constantly keep reminding you about driving sanely! LP: (Almost in a rage- a lyrical one, of course): Somehow or other I feel I ought to make a speech. My idol has been desecrated before my eyes. And by one whose tools are notes, while mine are words- words! There he lies, a bedraggled, deaf, syphilitic, besmirched by the vain tongue of pseudocriticism; no attention paid to his obvious genius, his miraculous outpourings, his pure revelation, his vision of glory, brotherhood, divinity! There he lies, a mediocre melodist, a homely harmonist, an iterant riveter of a rhythmist, an ordinary orchestrator, a commonplace contrapuntist! 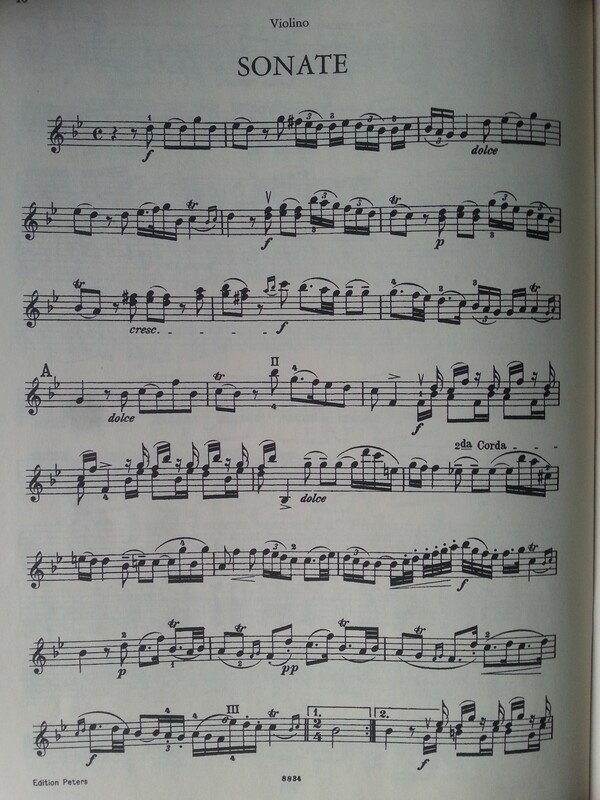 This from a musician, one who professes to lift back the hide from the anatomical secrets of these mighty works- one whose life is a devotion to the musical mystery! It is impossible, utterly, utterly impossible! (There is a pause, partly self-indulgent, partly a silence befitting the climax of a heart-given tribute). LB: You are right L.P. It is truly impossible. But it is only through this kind of analysis that we can arrive at the truth. You see, I have agreed with you from the beginning, but I have been thinking aloud with you. I am no different from the others who worship that name, those sonatas and quartets, that gold bust. But I suddenly sensed the blindness of that worship when you brought it to bear on those hills. And in challenging you, I was challenging myself to produce Exhibit A- the evidence. And now, if you’re recovered, I am sure you can name the musical element we have omitted in our blow-by-blow survey. LB: Careful. You’re igniting again. No, that’s not quite what I mean by form. Let me put it this way. 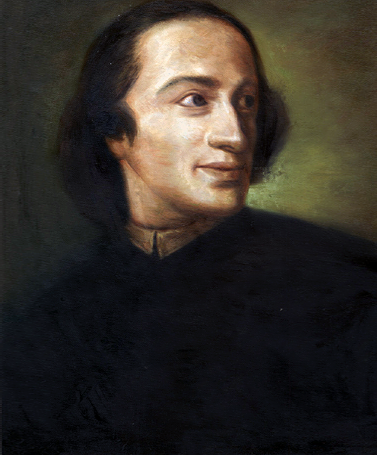 Many, many composers have been able to write heavenly tunes and respectable fugues. 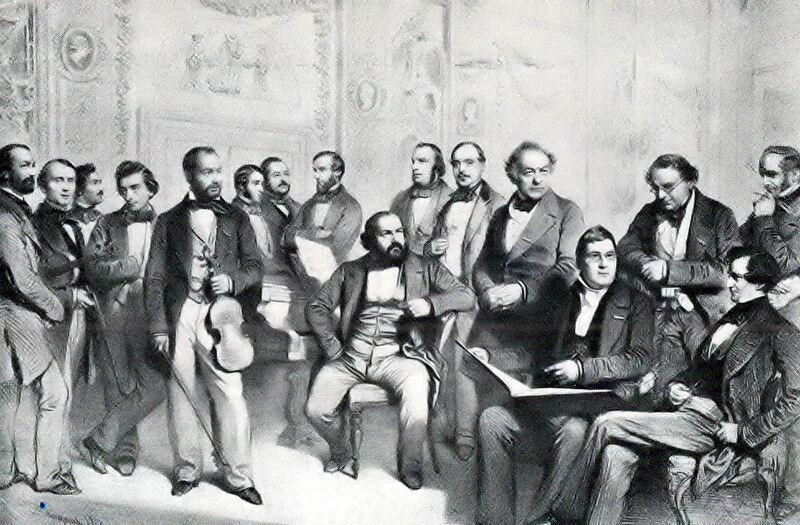 Some composers can orchestrate the C-major scale so that it sounds like a masterpiece, or fool with notes so that a harmonic novelty is achieved. But this is all mere dust- nothing compared to the magic ingredient sought by them all: the inexplicable ability to know what the next note has to be. 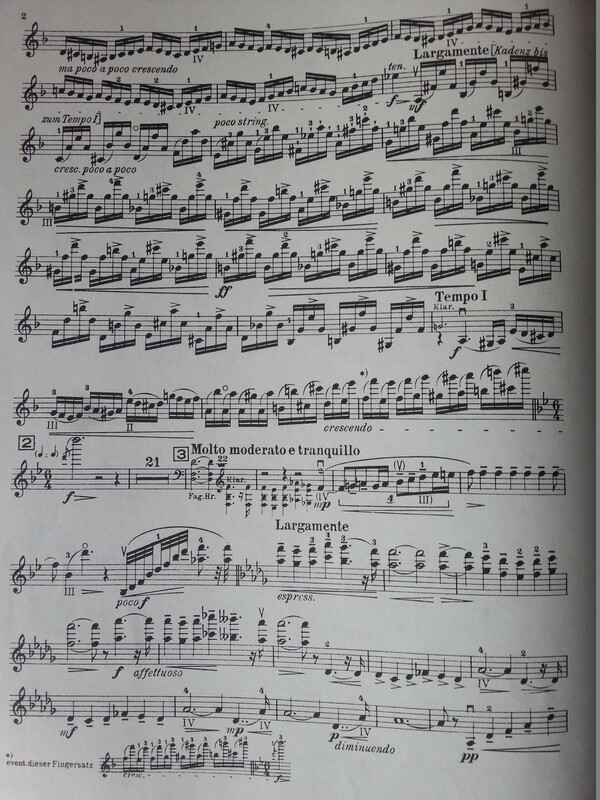 Beethoven had this gift in a degree that leaves them all panting in the rear guard. 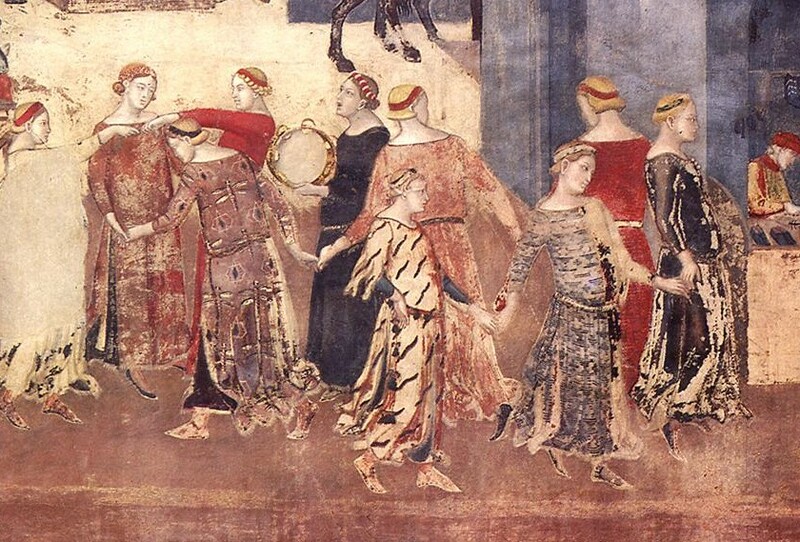 When he really did it- as in the Funeral March of the Eroica– he produced an entity that always seems to me to have been previously written in Heaven, and then merely dictated to him. Not that the dictation was easily achieved. We know with what agonies he paid for listening to divine orders. But the reward is great. There is a special space carved out in the cosmos into which this movement just fits, predetermined and perfect. 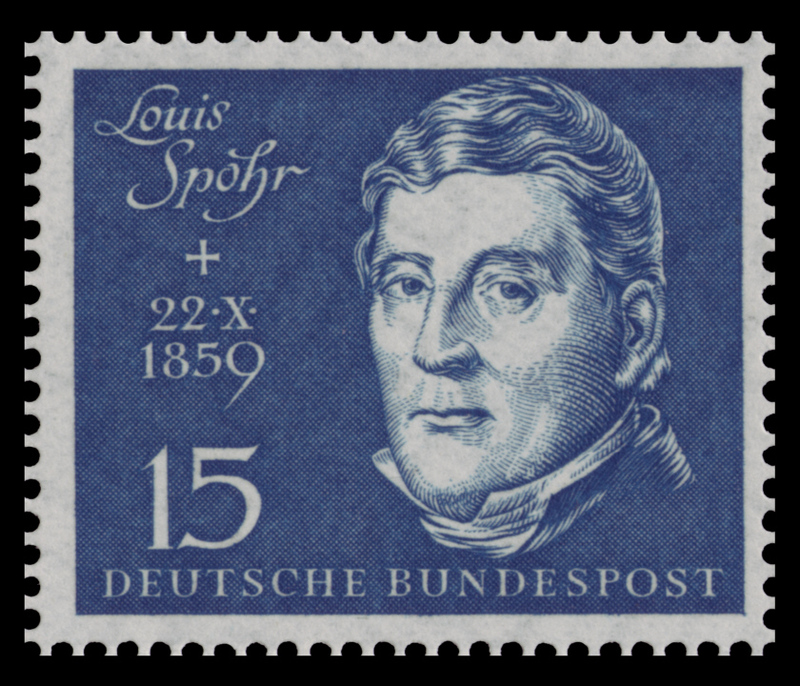 LB: (Deaf to everything but his own voice): Form is only an empty word, a shell, without this gift of inevitability; a composer can write a string of perfectly molded sonata-allegro movements, with every rule obeyed, and still suffer from bad form. 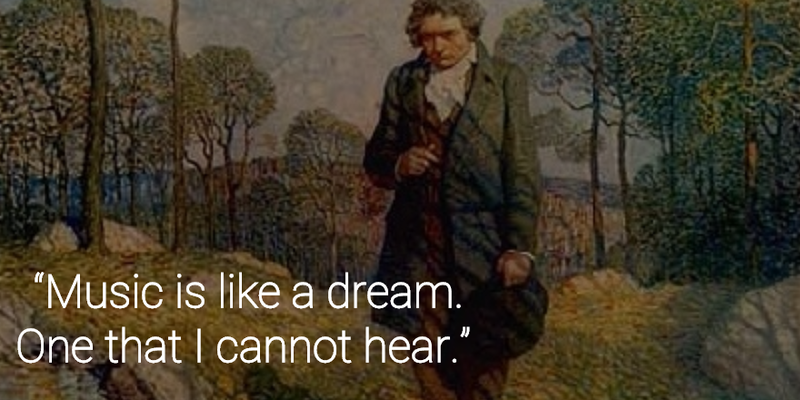 Beethoven broke all the rules , and turned out pieces of breath-taking rightness. Rightness- that’s the word! 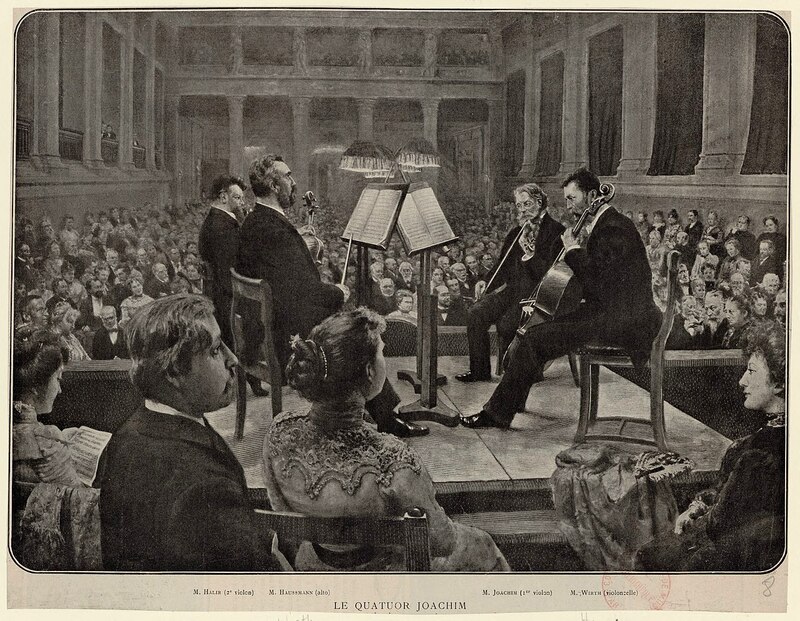 When you get the feeling that whatever note succeeds that last is is the only possible note that can rightly happen at that instant, in that context, then chances are you’re listening to Beethoven. 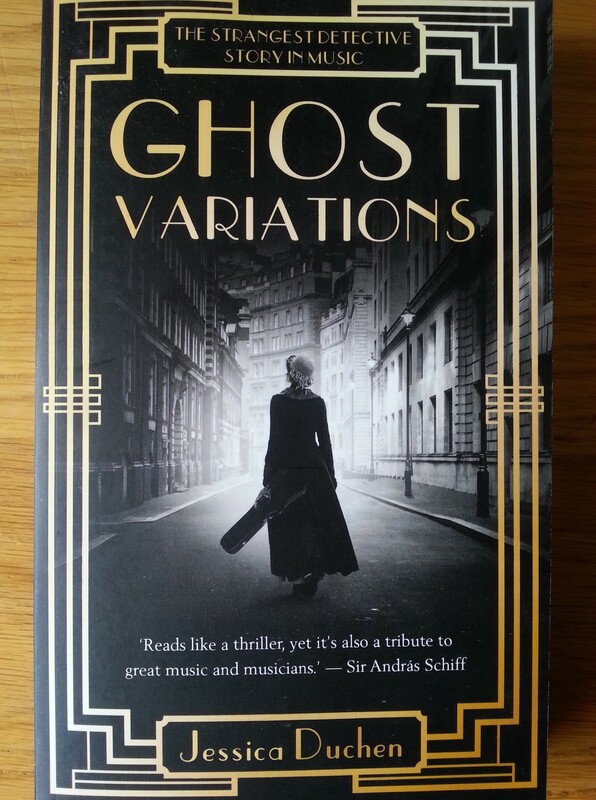 Melodies, fugues, rhythms- leave them to the Chaikovskys and the Hindemiths and Ravels. Our boy has the real goods, the stuff from Heaven, the power to make you feel at the finish: Something is right in the world. There is something that checks throughout, that follows its own law consistently: something we can trust, that will never let us down. LP: (Quietly): But that is almost a definition of God. LB: I meant it to be. I feel that this lively discussion formed the basis of several of Lenny’s famous recordings about the genius of Beethoven in which he espouses the idea of the perfection of each subsequent note in Beethoven’s music. 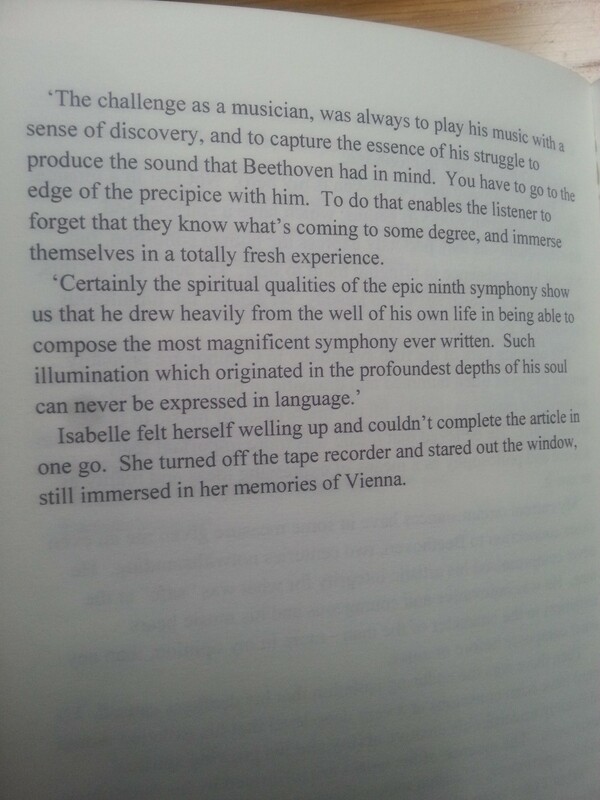 Rather paradoxically Bernstein slates as well as salivates, over Beethoven. Some of us aren’t happy! Thomas Goss take’s up Lyric Poet’s mantel in defending Mr B! 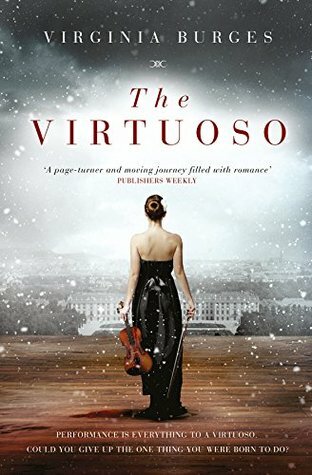 It’s why Beethoven has the starring (historical) role in my fiction novel, The Virtuoso, which was described as: “A modern day Beethoven story,” in the summary from one publisher’s review. I do hope you enjoyed the debate! I’d love to hear your views. 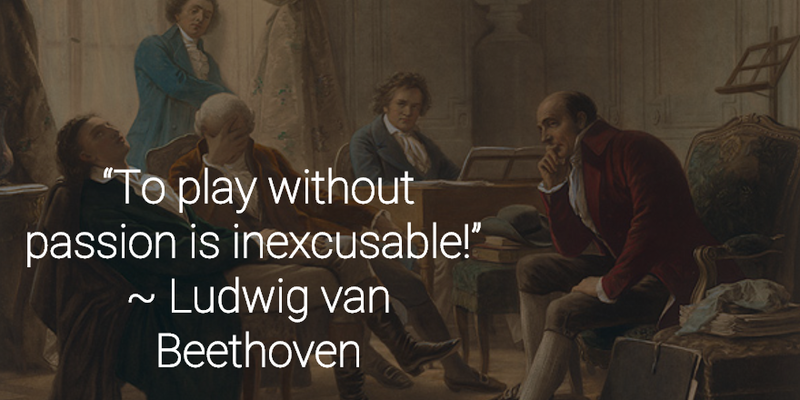 I’ll let Beethoven have the last word! 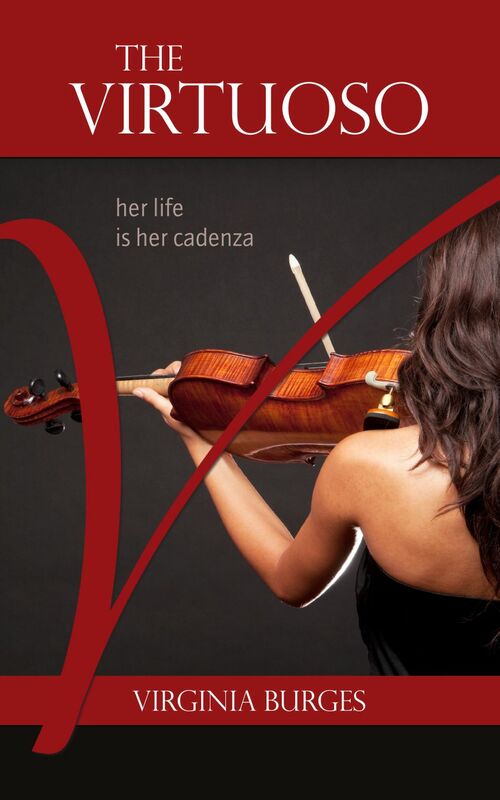 I’m excited to share the sublime music of Pablo de Sarasate with you. 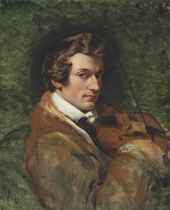 He’s one of my favourite composers of 19th century romantic violin music. His tunes are so evocative of his Spanish homeland, but more than that, they are infused with virtuosic flair, memorable folk tune melodies and romantic lyricism. Every time I hear his music my heart flutters…especially when played with a colourful tone and expressiveness. You never get the feeling that he sacrificed a good tune for the sake of showing off, he managed to seamlessly integrate technique, flair and melody. 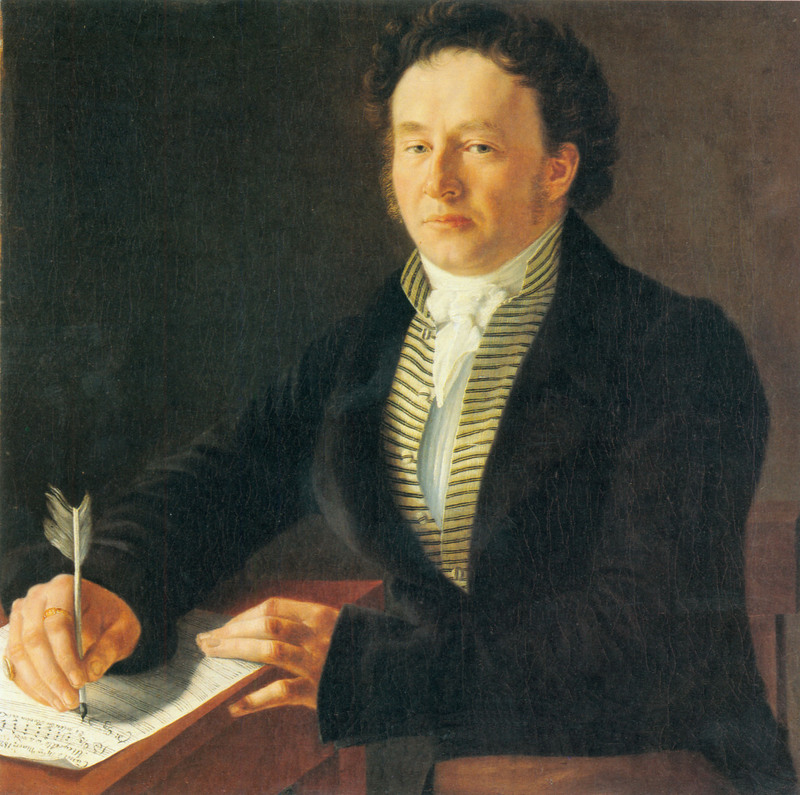 He may not have written a violin concerto, but his repertoire of fifty seven brilliant compositions for violin and piano and or orchestra more than make up for it. Born with a spectacular name entirely befitting his talents, Pablo Martín Melitón de Sarasate y Navazcués, grew up in the city of Pamplona in Spain’s northern province of Navarre. 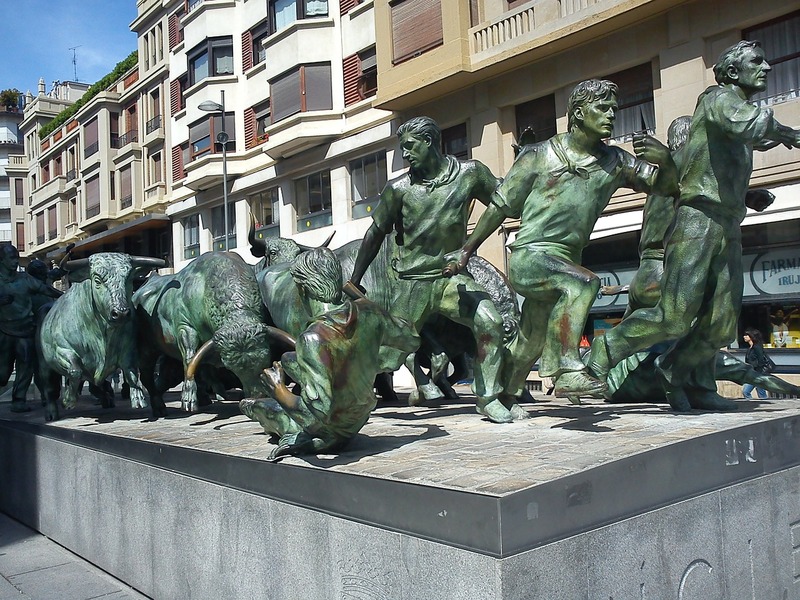 He must have imbibed the fiery atmosphere of the San Fermin Festival and the “Running of the Bulls” every summer, and somehow transmuted all that thrill, tradition and dangerous daring of nature into his music. Famed for his own romantic and virtuosic performances, one can only marvel at his brilliance. His music is mostly for advanced violinists because that was his skill level on the instrument. 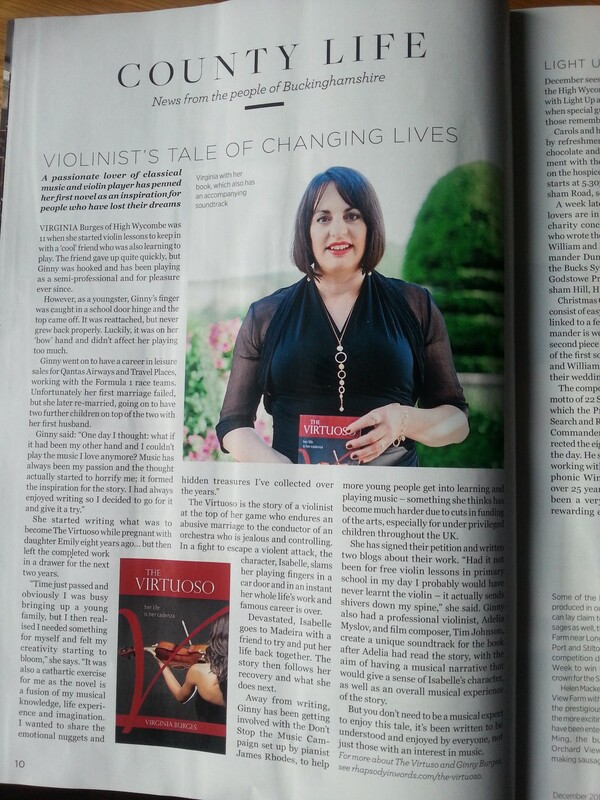 No shirking for Pablo; or indeed us wannabe virtuosos for that matter! 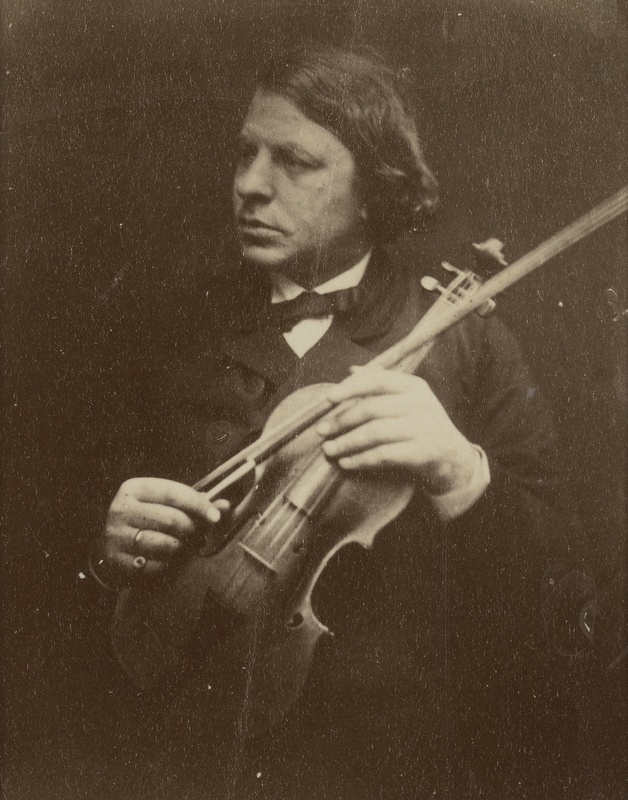 Sarasate’s genius on the fingerboard influenced many well-known composers. 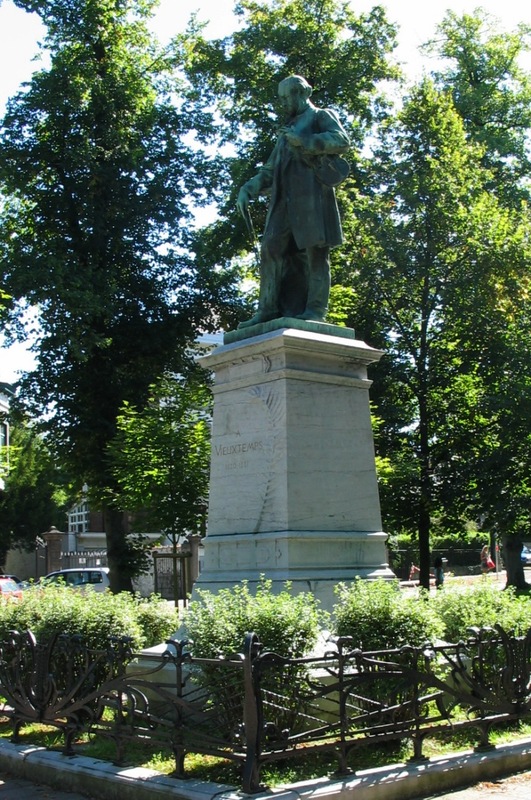 The French romantic composer, Camille Saint-Saëns, wrote and dedicated his third Violin Concerto and the Introduction and Rondo Capriccioso in A minor for him. 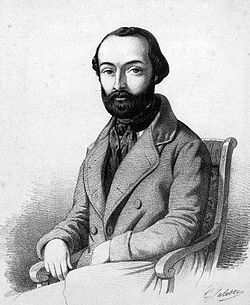 Other compositions written in his honour include Lalo’s Symphonie Espagnole, Bruch’s Scottish Fantasy and Wieniawski’s Second Violin Concerto. 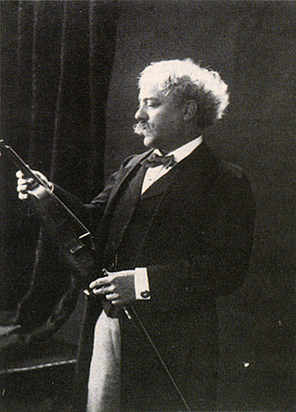 Sarasate’s style of performing had a direct impact on how other composers of the era formed their violin solo passages. 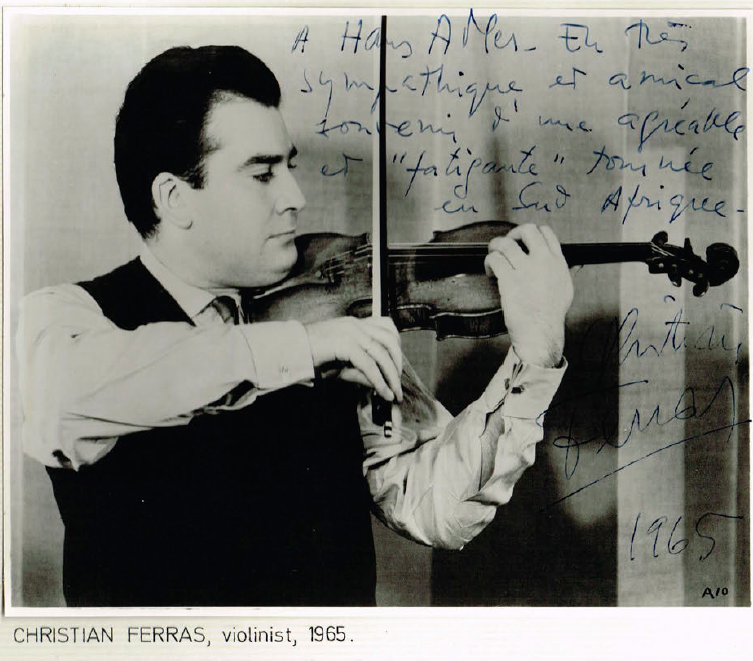 Spain’s cherished and foremost violinist/composer began lessons at the age of five, being taught initially by his father who was a bandmaster. 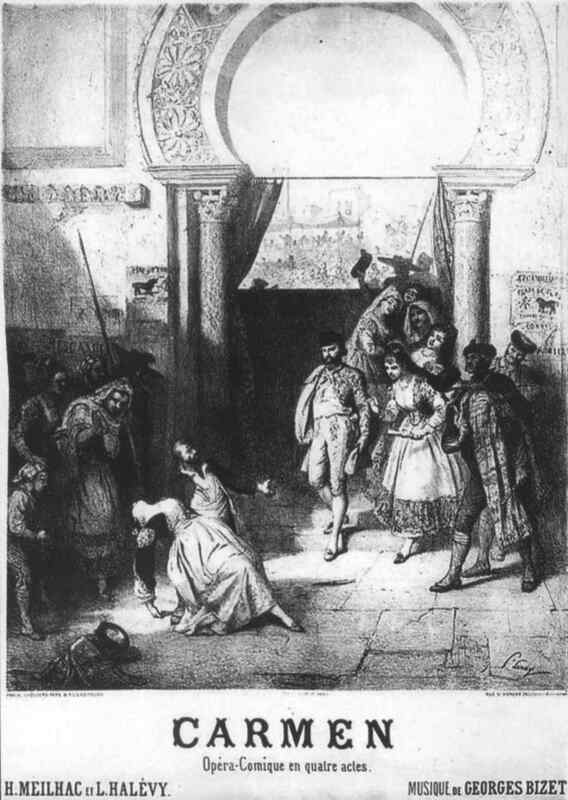 He gave his first concert at the age of eight, which secured him patronage to study in Madrid under Manuel Rodríguez Saez, where he became popular with Queen Isabella II of Spain. 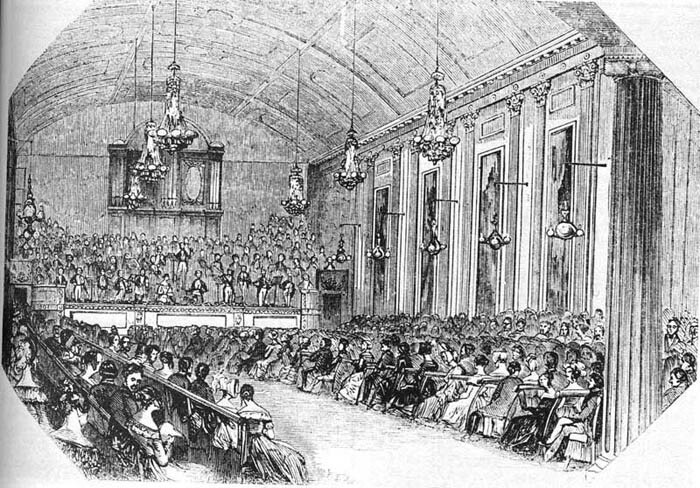 At the age of twelve he was sent for tutelage under Jean-Delphin Alard at the Paris Conservatoire, but the journey from Pamplona to Paris proved to be a tragic one. 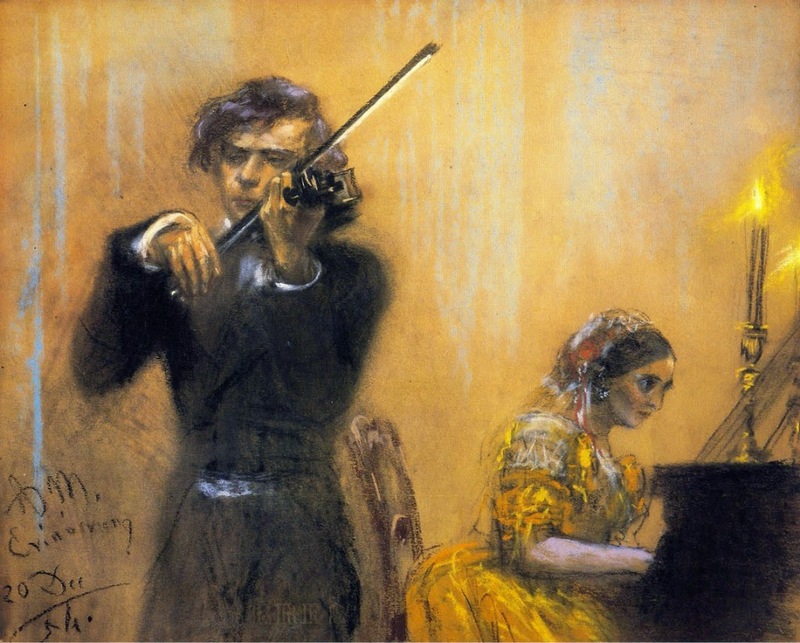 Soon after their train had crossed the border into France, Sarasate’s mother died of a heart attack and Pablo himself was found to be suffering from Cholera. Fortunately he recovered and was able to continue his studies. 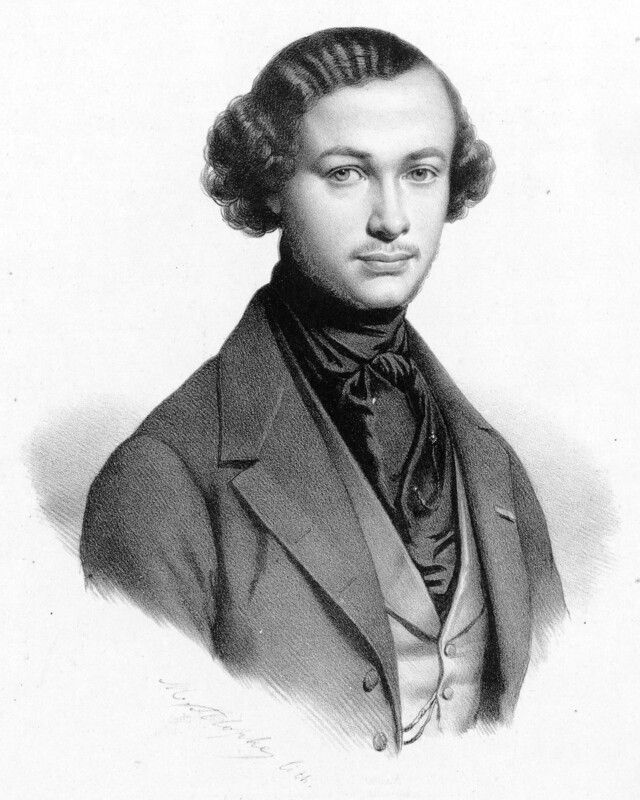 In 1861 he won first prize in the prestigious Premier Prix in Paris. Thus began his touring soloist’s career. 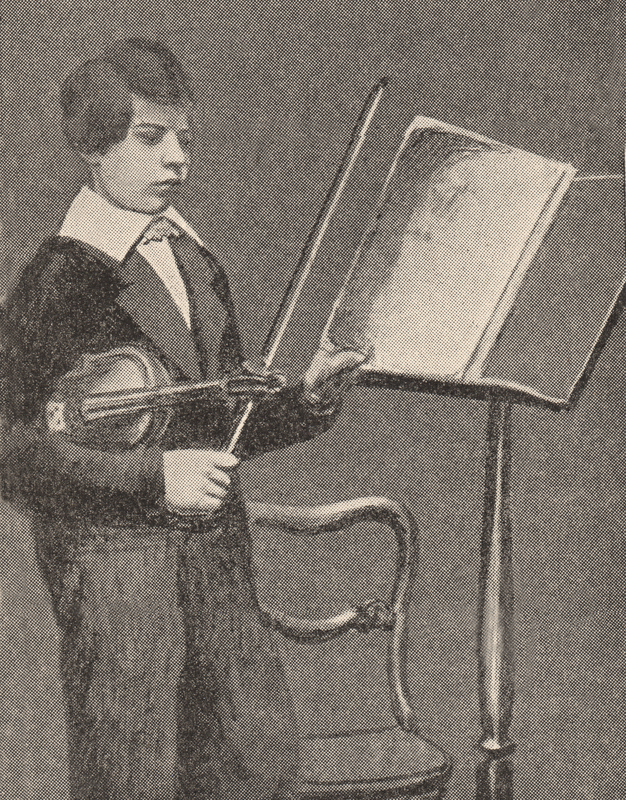 He was one of the early recording artists also, with a performance in 1904 that prompted a reviewer to write he had “the fleetest fingers and bow arm in the history of recorded sound”. 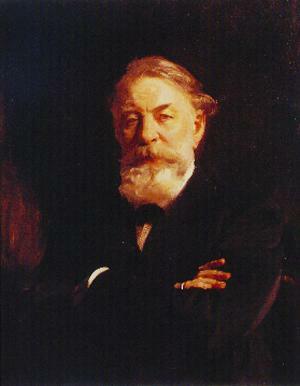 Not only was he popular in London and Europe, but he also toured America, South Africa and Asia. 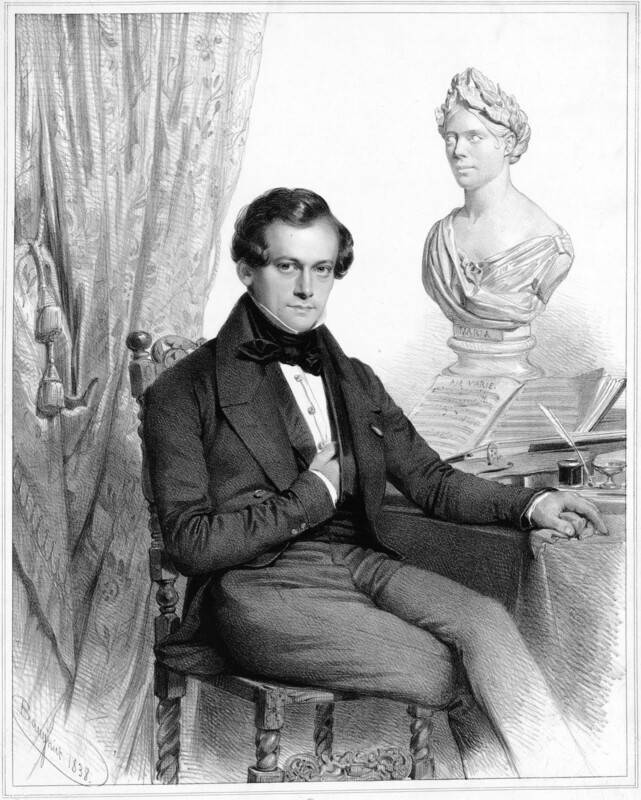 In his early career Sarasate performed mostly opera fantasies, including his evocative and beautiful Carmen Fantasy based on Georges Bizet’s seductive and passionate opera, Carmen. 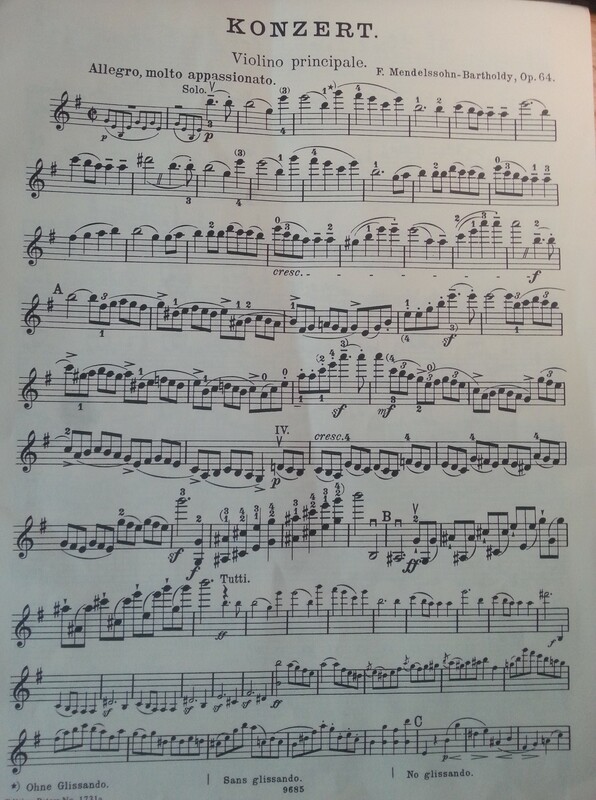 It’s technically very challenging and demanding (as you would expect from a violinist of his caliber), containing elements and adaptations from the Aragonaise, Habanera, an interlude, Seguidilla, and the Gypsy Dance. Inspired by Sarasate’s work, film composer Franz Waxman wrote a similar piece, his Carmen Fantasie in 1946, which I also adore. It would be remiss of me not include some stratospheric performances of his Opus 25! 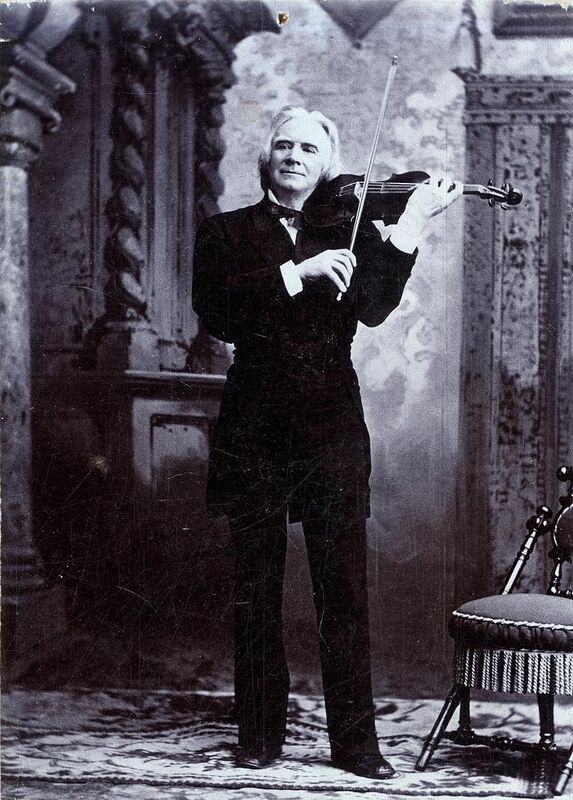 Zigeunerweisen is Sarasate’s most popular composition, and was written for violin and orchestra in 1878 and premiered the same year in Leipzig. 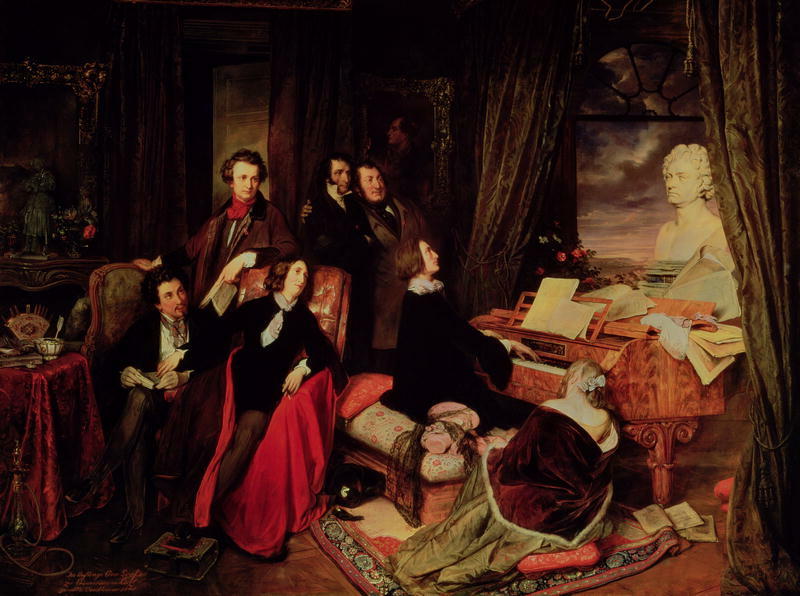 It features the themes of the Roma people, and in part also the csárdás, which was ‘borrowed’ from a theme previously used in Franz Liszt’s Hungarian Rhapsody No. 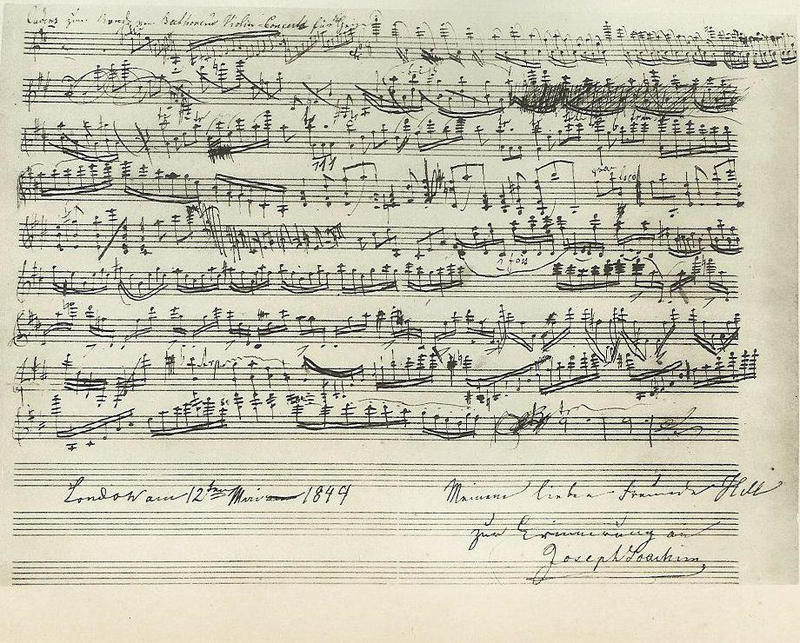 13, composed in 1847. 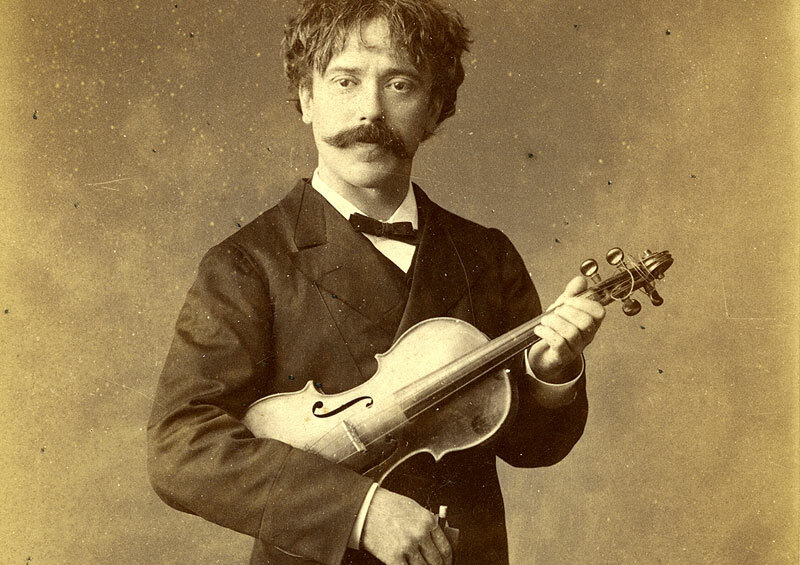 Sarasate recorded his best loved work in 1904, but since then it has been recorded by many violinists, being a popular stalwart of the virtuoso’s repertoire. Technical data courtesy of Wikipedia. 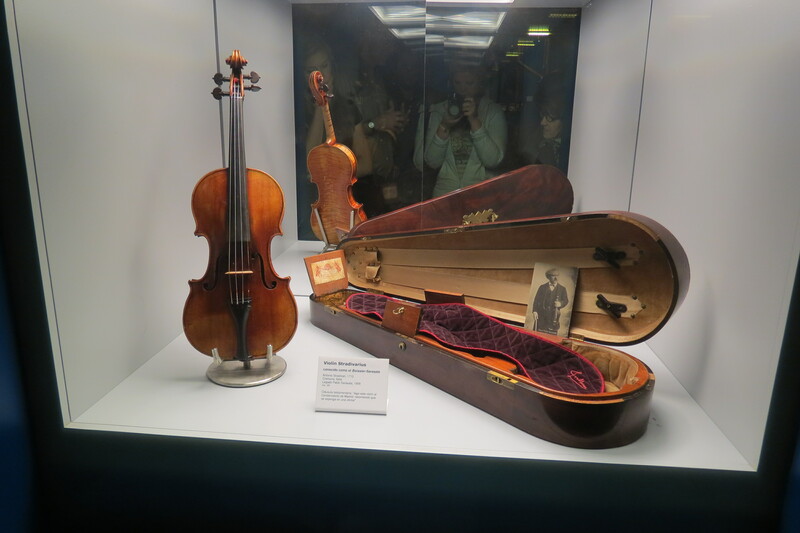 I can’t forget Jascha Heifetz either!! 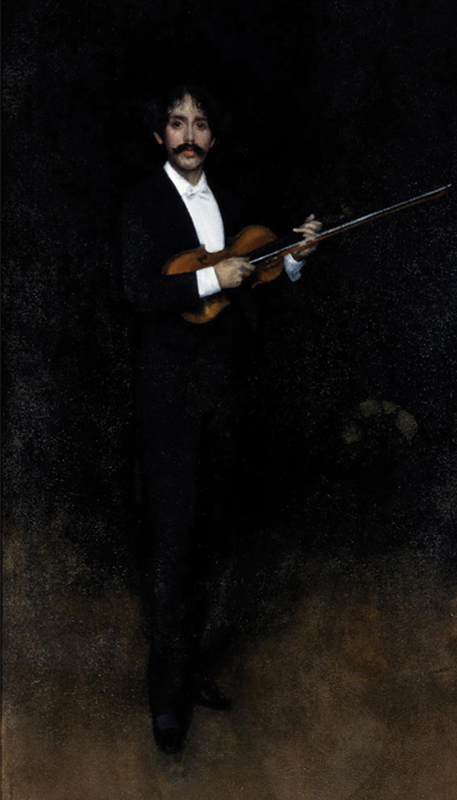 Sarasate lived the latter part of his life in Paris, in a home that had been decorated by none other than the American Post-Impressionist artist James Abbott McNeill Whistler, who also painted a wonderful portrait of him at the same time. Now quite wealthy he purchased a holiday home, a villa in Biarritz, but would return to Pamplona for the festival every year. 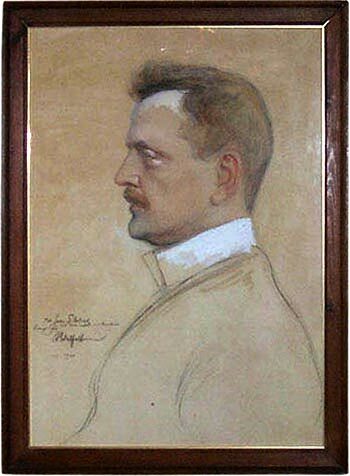 His renown as a performer has been immortalised in print, with mentions in plots by novelists Arthur Conan-Doyle, Anthony Burgess and Edith Wharton. 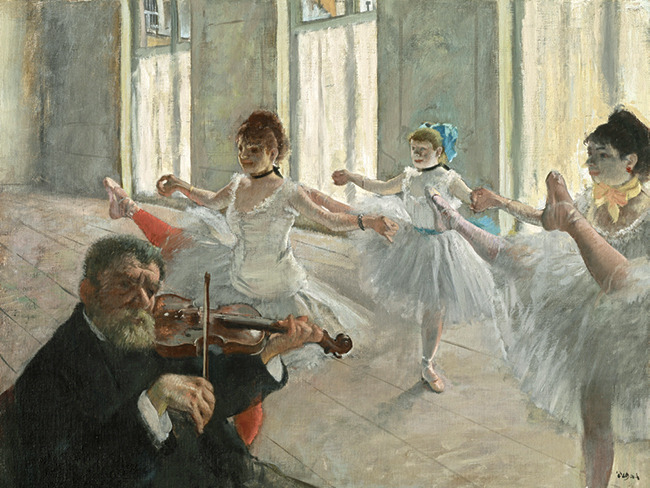 Pablo played on a 1724 Golden Period Stradivarius, which was bequeathed to the Musee de la Musique at the Paris Conservatoire after his death in 1908, and is now aptly named after their star student, the Sarasate Stradivarius. 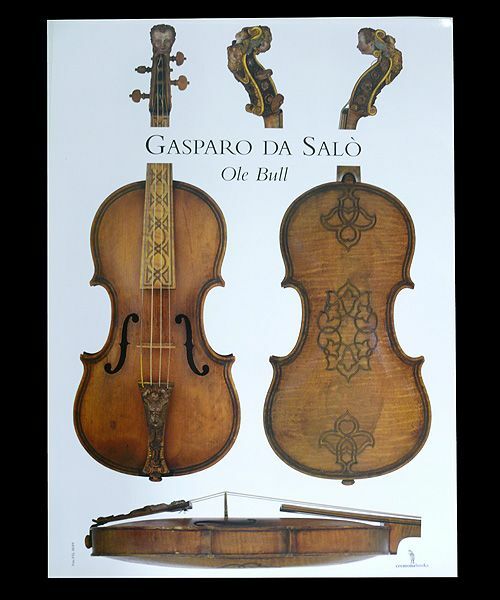 His second violin was also a Stradivarius, the 1713 Boissier, which is now owned by Real Conservatorio Superior de Música, Madrid, where he studied as a boy. 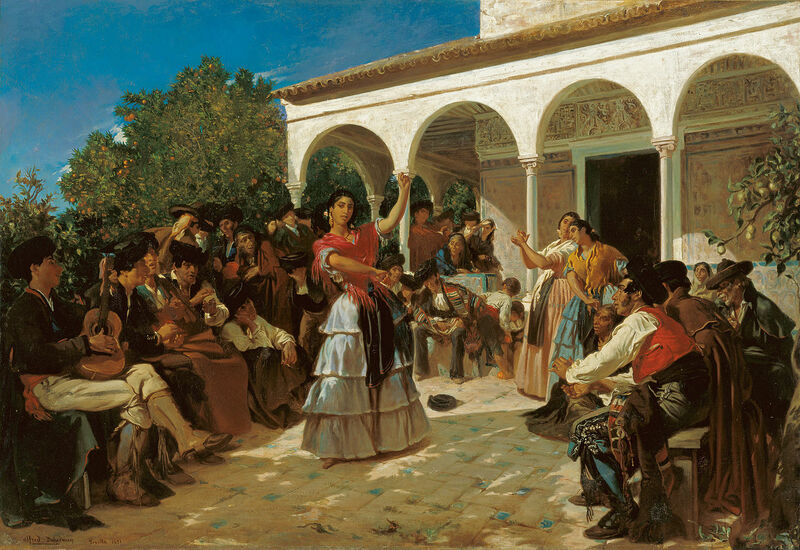 Here’s a selection of his beautiful, Spanish themed compositions. Hasta la próxima vez amigos. ¡Felices Pascuas! 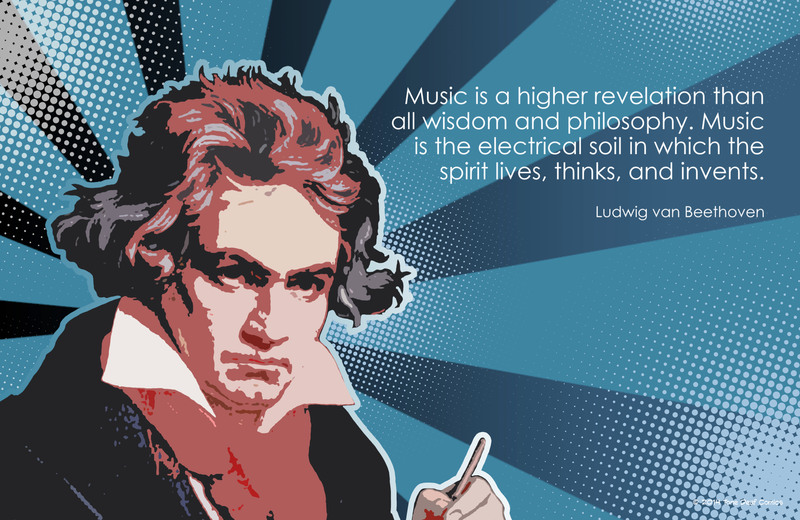 Ludwig van Beethoven, a titan of classical music, and to my mind the most pioneering composer and pianist of the romantic era, turned 245 today. 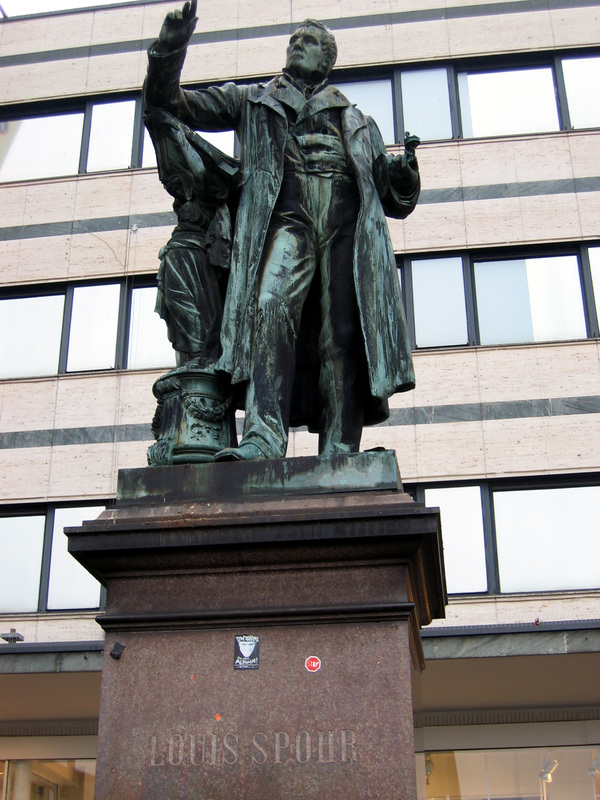 At least, the 17th December 1770 was the day of his baptism in Bonn, and most likely his date of birth. The deaf maestro wrote so many unforgettable, transcendental and downright epic tunes and melodies that his position in the lexicon of humanity’s geniuses is eternally guaranteed. 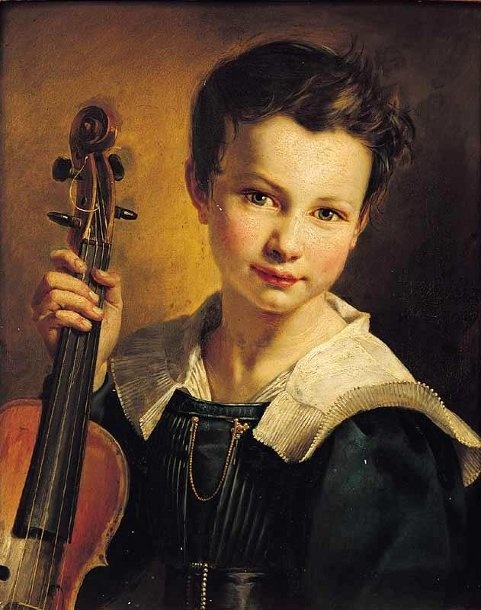 No-one remembers the pompous aristocracy (except for his kind patrons) that thought themselves above a low born musician, because centuries after they popped their noble clogs Beethoven’s music is still making an emotional connection with millions of people around the world. It’s still relevant. It’s still innovative. 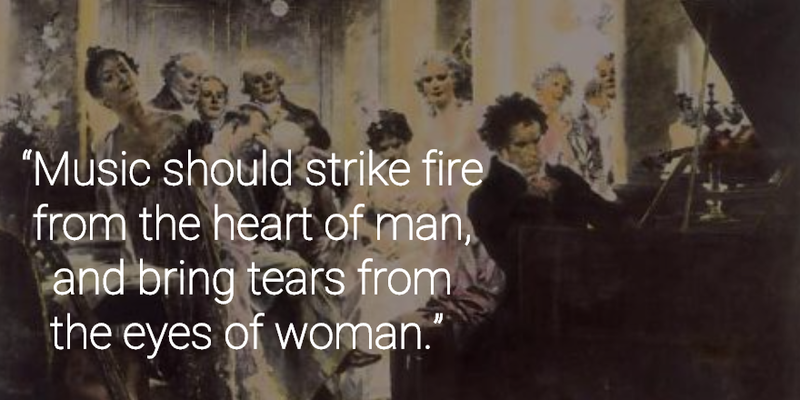 It’s still heart-wrenchingly moving and profound… That’s what was so brilliant about Beethoven. His personal life was complex, passionate, and a catalogue of almost insurmountable challenges. 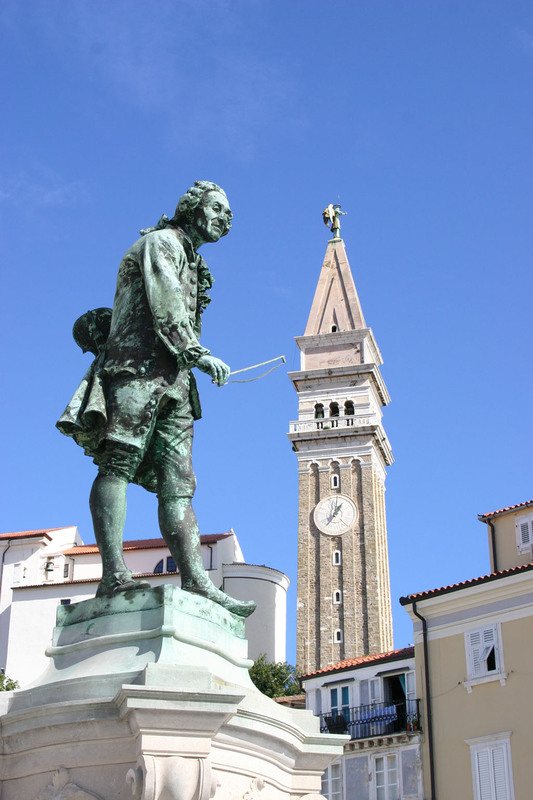 They nearly broke him, but his music moved them into the realm of the divine, into victory with a capital V. His music was his life and his eventful life provided plenty of material for musical inspiration! He suffered greatly for his art. Who else could have endured such despair and yet still have produced such earth-shattering music? Only dear Ludwig. Suffering really does transpose into the most achingly beautiful and timeless music. 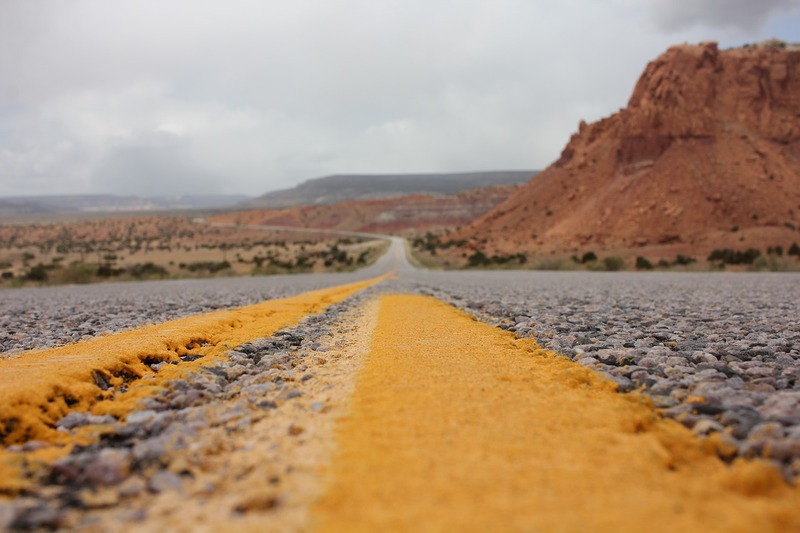 I didn’t intend for this to be a lengthy post, (anyone who knows me will be aware that I can get quite carried away when I’m passionate about something). Rather, it’s a short celebration to mark the life and contributions of a person I deeply revere. These BBC docudramas are superb; they really bring his life to life! If you hang out on Twitter do join in the birthday celebrations, just use the hashtag #LvBChat.